This has been one crazy, eventful week. 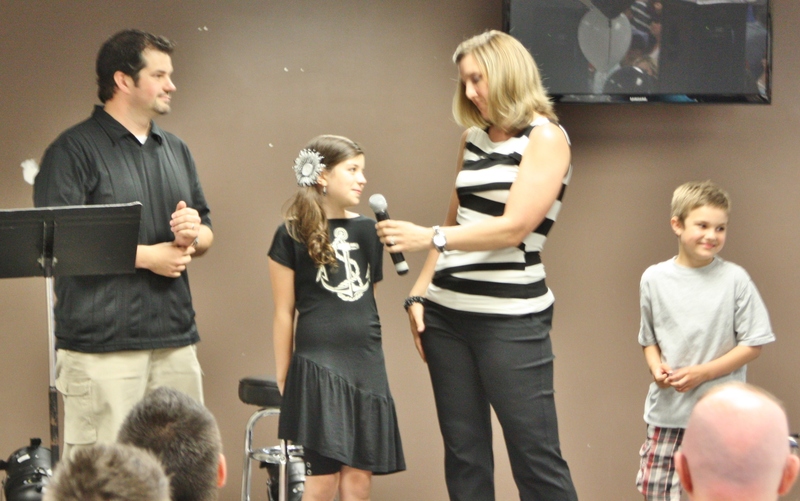 Sunday we had an amazing time at The Grove in Poplar Grove, IL sharing our passion for Africa. They blessed us beyond our wildest dreams with an amazing offering! Monday afternoon we received a call that Chad’s mom was rushed to the hospital. She was having heart issues. We took off Tuesday morning to Wausau, WI which is about 3 1/2 hours away. We were with her all day & after many tests, they determined they were going to have to do open heart surgery. We drove home that evening & an hour 1/2 into our trip, our car broke down on I90. We lost all power and ended up sitting on the side of the highway in total blackness for almost 2 hours waiting for a tow to get us back to Rockford. When we were sitting in the incredibly hot car, Brielle said, “Well, at least we know we’re doing the right thing because the enemy is attacking us again.” We arrived home around 2:30 in the morning. We got the car fixed Wednesday morning and then drove back to the hospital Wednesday night to be with mom. We spent the night and stayed the next day until we were able to see her after surgery. She ended up having a quadruple bypass & a valve replaced, but everything went we ll. We traveled home that evening & ran around trying to get things ready for our fundraiser dinner Friday night. Friday night’s fundraiser dinner had an amazing turnout with almost 120 people. Praise God we made it through the difficult week & God blessed us immeasurably! Before Sunday’s service, we were sitting around 32% of our goal. After this week, we are now at 56%. We are just so thankful for God’s provision, for bringing so many around us to partner with us and for seeing mom through her surgery. Thank you to so many who helped with the dinner this week, serving, setting up, donating food, making cupcakes, & just being there to support us. We truly feel loved and blessed! We will be heading to Ohio on July 3rd to continue sharing our passion for Africa. Thank you for your continued prayers! We are still believing we will be in Swaziland by the end of August. Our God is a miracle working God!!! Th e school year is over, and tears and goodbyes have made things feel even more real to all of us. 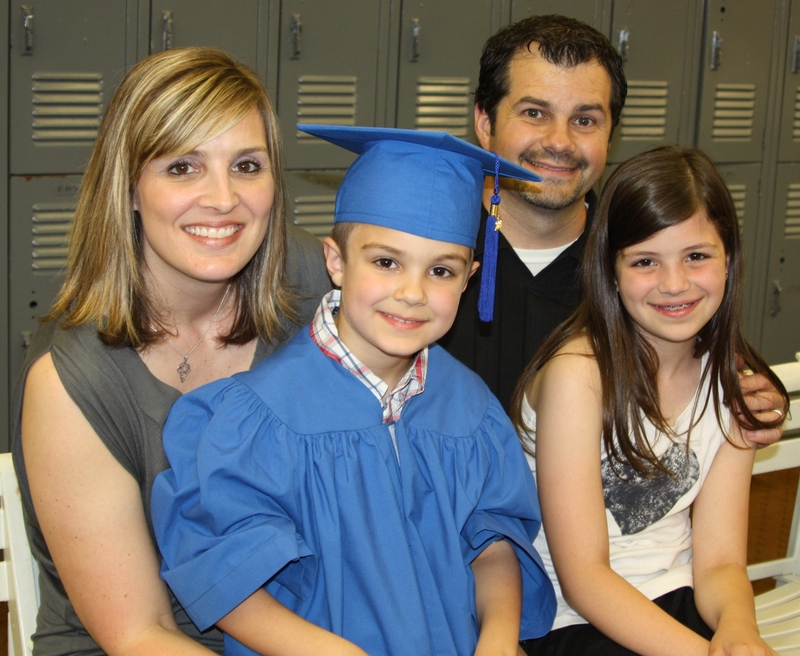 Caden graduated kindergarten & Brielle finished 4th grade. 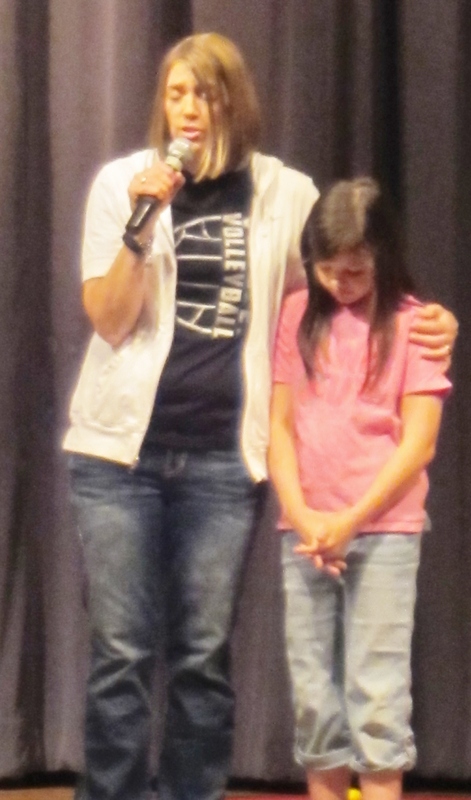 The elementary said a prayer over Brielle during their last chapel to send her off. Along with the school year ending, we have officially moved out of our home. We are staying with family for the next couple of months while we continue the itineration process. Chad has been in contact with a realtor in Swaziland searching for an affordable, safe home for us as well as looking for an affordable vehicle. We are still looking for more speaking possibilities to share our story so if you know of any or think that your church would allow us a few minutes to share, we would be so grateful for the contact. Please save the date: We have a fundraiser dinner planned for June 28th in Rockford, Illinois and for July 19th in Amherst, Ohio. We hope you can attend to hear our story & partner with us on this journey. We are believing for 100% of our support to be in by the end of August so that we can be on the ground before school starts. Right now, we are currently at 30% of our goal. Please continue to pray for us. There are challenges to face with every step of this process, and it has been an emotional rollercoaster. We know that our God is bigger than every challenge that we face & we are trusting Him!